Six or eight or twelve years after the Civil War, a stagecoach hurtles through thewintry Wyoming landscape. The passengers, bounty hunter John Ruth (Kurt Russell) and his fugitive Daisy Domergue (Jennifer Jason Leigh), race towards the town of Red Rock where Ruth, known in these parts as “The Hangman,” will bring Domergue to justice. 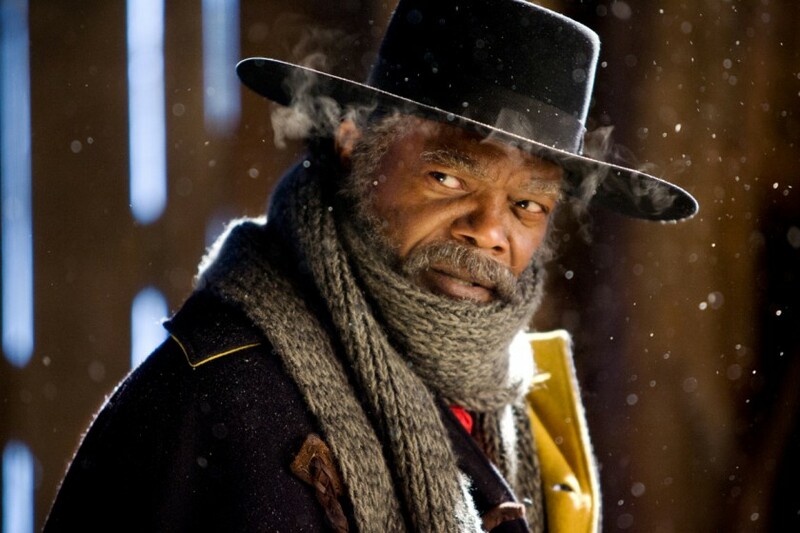 Along the road, they encounter two strangers: Major Marquis Warren (Samuel L. Jackson), a black former union soldier turned infamous bounty hunter, and Chris Mannix (Walton Goggins), a southern renegade who claims to be the town’s new Sheriff.